Paul Pogba is a professional footballer who represents France National Team. Currently, he plays for the English Premier League giant Manchester United as a central midfielder. He can also play as an attacking midfielder, defensive midfielder, or deep-lying playmaker. He started his amateur football career from Roissy-en-Brie in 1999 and played for Torcy and Le Havre before joining Manchester United youth system in 2009. In 2012, he joined Italian side Juventus, where he won four consecutive Serie A titles and reached the 2015 UEFA Champions League Final as well with the club. In 2016, Pogba returned to Manchester United for then-world record transfer fee of 105 million Euro. He is the recipient of 2013 Golden Boy award, 2014 Bravo Award, and UEFA Europa League Player of the Season for the 2016-2017 season. Furthermore, the Frenchman also won the FIFA World Cup Best Young Player award in 2014. He was one of the key players of France national team that reached the 2016 Euro Cup Final and won the 2018 FIFA World Cup in Russia. Manchester United manager Jose Mourinho and Pogba are not in good terms according to the widespread news. It seems, the club manager is not happy with the performance of then-expensive player of the world, Pogba, which has created many rumors following the players future at the club. According to reports, Manchester United are negotiating his swap deal with Alex Sandro of the Italian club Juventus. Following the clash between the player and the manager and if the club fails to perform well in the current season and Champions League, Paul Pogba might not be in Manchester United next season. He is criticized for taking time during penalty run-up. The full name of Pogba is Paul Labile Pogba. He was born on 15 March 1993, in Lagny-Sur-Marne, France. His sun sign is Pisces and holds French nationality. 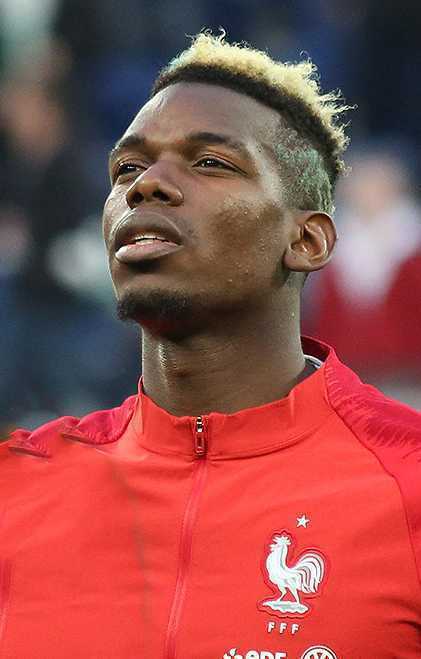 His parents are Fassou Antoine Pogba (father), and Yeo Pogba (mother). He belongs to Guinean descent. He has two older twin brothers. They are named Florentin and Mathias and they both are also footballers. Pogba grew up as an Arsenal fan. And his idol is Brazilian Ronaldo, who made him fall in love with football from his childhood. He started his youth career from local club Roissy-en-Brie. He then played for Torcy before joining professional club Le Havre. Pogba joined Manchester United Youth system in 2009. His previous club Le Havre accused Manchester United of luring/stealing Pogba. FIFA judge cleared all the accusations and Manchester United completed Pogba transfer in October 2009. Initially, he played for Manchester United youth team and made his Premier League debut in January 2012 under Sir Alex Ferguson. Pogba was not given much playing time at Manchester United. Thus, he moved to Italian club Juventus in August 2012 on a four-year deal. Pogba went on winning four consecutive Serie A titles, two Coppa Italia, and two Supercoppa Italiana with Juventus. He also won Golden Boy award, Bravo Award, and several others during his tenure at Juventus. Pogba returned to Manchester United in August 2016. The club signed him on the world record transfer fee of 105 million Euro, with additional bonuses of 5 million. Pogba surpassed Gareth Bale and became the expensive footballer of that time. Pogba has won an EFL Cup and a UEFA Europa League till date at Manchester United. Rumors following Manchester United's performaces broke out that the player and the club manager Jose Mourinho are not having good terms. However, the club manager claimed the news to be false. Initially, Pogba represented France national team at different age levels including France U16, U17, U18, U19, U20 national teams. Pogba proved himself one of the key players of the France national team that won FIFA U20 World Cup for the first time. Pogba made senior team debut for the international team in March 2013. 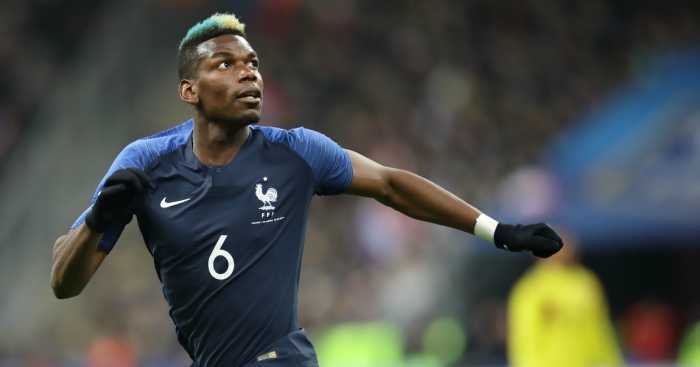 Pogba represented France senior team at 2014 and 2018 FIFA World Cups and 2016 Euro cup, where they finished runner-up in 2016 Euro and France went on winning 2018 FIFA World cup in Russia. He was also the recipient of Best Young Player of the Tournament in 2014 FIFA World Cup. He is very close to his family. His twin brothers Florentin Pogba and Mathias Pogba are also footballers. They play for Guinea. Paul Pogba is very close to his mother. When talking about his relationship, there is not much more info available about his affair, dating, and girlfriend. He is not married. He doesn’t have a wife. According to sources, he is dating a YouTube celeb and supermodel Chantel Jeffries. Although it is very common for a footballer to date any successful model. However, she is a former flame of Justin Bieber. The blonde bombshell has posted several photos of her along with Pogba on social networking sites. One of the most expensive footballers in the world, Paul Pogba stands 1.91 m tall ie six feet and three inches. He has dark brown eye color and his hair color is black. He usually dyes his hair Blonde. He has a body weight of 84 kg. His chest size is 44 inches, Biceps is 15 inches, and Waist size is 33 inches. He has an athletic body build and maintained his body perfectly fit. The 25-years old player is one of the most expensive footballers in the world. In 2016, Premier League club Manchester United signed him for a then-record transfer fee of 105 million Euro. He has earned quite a fortune playing fortune and he is just 25 years old. As of 2018, the net worth of Paul Pogba is estimated at around $85 million. He has sponsorship deals with Adidas. Paul Pogba is the fourth-most expensive Association Football transfer (£89 M, from Juventus to Manchester United in 2016).